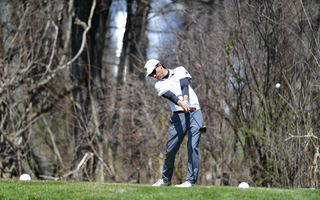 After a difficult start to the spring season at the Furman Invitational two weeks back, the Harvard Men’s golf swapped South Carolina for New Jersey, stumbling to a seventh-place finish at the Princeton Invitational, though the team’s performance did improve. All Ivy rivals but Dartmouth travelled to North Jersey with Yale eventually grabbing the No. 1 spot on the second and final day of competition. The Bulldogs seem to be the Crimson’s greatest obstacle standing in the way of an unprecedented conference three-peat. Yale finished sixth at Furman, impressive given the nationally ranked powerhouses the team were competing against. Harvard finished 15th that weekend. Penn finished as the runner-up, placing three strokes behind the Bulldogs, while Cornell and Princeton tied for fourth at +8. Harvard beat out Columbia and Brown (both +25), but will have to improve upon its score of +15 in the coming weeks. The Crimson finished the first day of competition, moved to Friday from Saturday, in ninth. With inclement weather on the horizon, the tournament was changed to Friday and Saturday meaning that the players were denied the usual practice round. These circumstances, coupled with frigid temperatures, meant the first round would be crucial. Penn got off to the hot start, shooting -1. Day two was another story however, with the Quakers shooting six over to slip behind a strong second half performance from Yale. The Crimson was able to climb up from ninth to seventh on the last day, and though the team is not thrilled with the weekend’s performance, the tournament did show a marked improvement from Furman. In particular, freshman Grant Fairbairn shone among the crowd. The California native capped off an impressive weekend, moving up 17 spots after a strong round on Saturday where he shot -2. He would finish tied for fifth out of a total of 69 golfers, with an overall even score. Barring Fairbairn, the team performance was solid with room for improvement. However, there is little panic surrounding the team. “This weekend we played at a much higher level than in South Carolina," junior Aurian Capart said. "We were focusing on our own games, rather than the score card. The guys did well this weekend." With more practice, better scores are expected and this weekend served as a useful stepping stone for what is to come at the business end of the season, which is just two weeks away. What is perhaps strange about the nature of the Ivy League is that the league championship is really where a season will be won or lost. What happens before that, though significant in terms of national ranking, is essentially preparation. The real battle is 14 days away in Elverson, Pennsylvania where the Crimson will determine its season’s success. The team has the opportunity to make history, but it will only happen if Harvard is at its best. 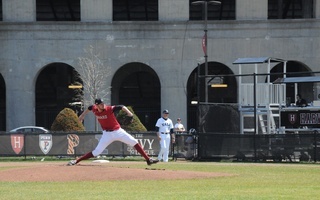 —Staff writer Max McEvoy can be reached at max.mcevoy@thecrimson.com. The Harvard women’s golf team won the Princeton Invitational tournament this weekend in Springdale, New Jersey.